August 03, 2018 / LBD "Nytetrayn"
It's finally Friday, August 3rd, and Mega Man: Fully Charged has debuted -- well, if you're in the United States and have the Cartoon Network app, that is (sadly, neither applies to me). Would you say the team are avid fans of the Mega Man games? Yes. From the writers to the designers to the animators, everyone has a relationship to Mega Man in some form or another. The games informed the world and characters, obviously, but also inspired what we regard to be the greatest asset of the character - the power replication process. Not only does it give us a slew of great powers and looks to play with, thematically it generated a powerful and timely idea. Mega Man doesn't just fight bad guys and throw them in jail. When he replicates a power, he gains insight into a robot's feelings, motives, etc. Sometimes he literally walks in their shoes, which creates a lot of empathy between Mega Man and his foes. So Mega Man is about understanding other people and trying to find common ground first and foremost. It's a great motivator for a hero. Some fans have critiqued the new art style for the Mega Man series. How did your team come up with this new look for him? As with every animated show, the art style went through many iterations before we landed where we did with Mega Man: Fully Charged. Capcom specifically asked us not to just copy what they are doing/have done with the franchise. They wanted a show that stood on its own for a new audience. We get it, it's not the thing someone loved and remembered. Instead, it's a way to expose a character that might otherwise sit on a shelf to someone new. That said, the show is packed to the gills with easter eggs, homages and characters from the games, so there is something for everyone who gives it a shot. Tell us about the story. Does it stay true to the theme of the Mega Man games? Will we see familiar heroes and villains arise? 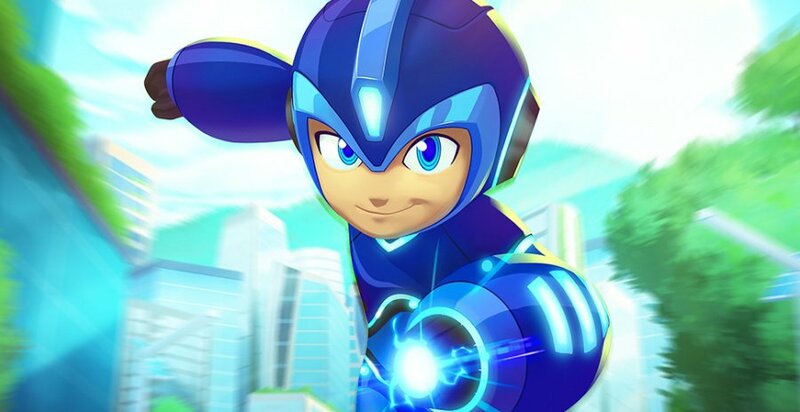 Again, Capcom encouraged us to explore new ways to tell Mega Man's story, and we did while keeping certain touchstones from the last 30 years intact. Mega Man is a young hero, just learning the ropes. He's got a family. He fights Robot Masters ... to tell you more would spoil it! We promise that there will be familiar faces, though some of them will appear in very unexpected ways. For the rest of the interview, which covers such questions as who pitched who on the idea of the cartoon, what audience the initial pitch went for, feedback at the San Diego Comic-Con panel, Mega Man X, plans as they relate to the release of Mega Man 11, and if this is "the comeback fans and newcomers alike deserve," be sure to head over to ComicBook.com and give it a read.